A new fitness studio opened up in the heights. 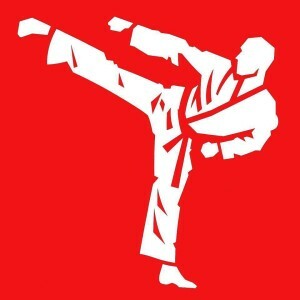 International Taekwon-Do Academy (523 Palisade Ave.) offers more than just martial arts. Think high-intensity training combat classes, women’s self-defense sessions and ZUMBA® fun. Yoga in the Heights also hosts their indoor classes at the studio. Mr. Vic Teran, the owner, defines himself as “Former Agent-in-Charge, Security Protective Specialist, U.S. Department of State” in his personal email signature, which elicited my curiosity. Mr. Teran began training at age 5, became a Black Belt at age 13, trained with the Korean Olympic Team, then joined the Marine Corps, where he became the Chief Instructor for their TaeKwon-Do team and fought the War on Terror in Iraq. Later, as a Private Security Contractor in Iraq, he conducted high-threat personal protection for high-level dignitaries and trained his teammates in both TaeKwon-Do and Close Combat. He then became the Chief Instructor for the Baghdad TaeKwon-Do Club, where he trained the Iraqi Olympic Committee. Later, Teran was appointed Security Protective Specialist (Agent-in-Charge). After ten and a half years operating in Iraq, Mr. Teran decided to resign from his position to continue his teachings and training in the art that first taught him the basic fundamentals. “TaeKwon-Do is a way of life,” he states. Mr. Teran’s experience as a Marine close combat instructor and his understanding of the tenets of TaeKwon-Do and the Marine Corps core values are things he plans to bring forth into his new school—courtesy, integrity, perseverance, self-control, indomitable spirit, honor, courage and commitment. So you get it: He’s serious. That’s not to say he isn’t personable—quite the opposite. But he will hold you to a high standard when it comes to martial arts and fitness. I joined in on the fun for one of ITKDA’s ZUMBA® classes. Wow, was I in for a treat. First of all, the space is gorgeous. Wide, open inviting windows on the front facade, pristine mats for martial arts in the front room, high ceilings, hardwood floors and more big windows in the back that I’m guessing let in a lot of gorgeous light during the day. When I entered a bit early, I was immediately greeted by Vic, then hugged and kissed by Natalia, the very energetic instructor. What a warm welcome! I chatted with them and Natalia’s mother while we waited for the others to arrive, and I checked out the facility to get a feel for the space, which I can only describe as clean with motivating energy. Once our group was ready, the studio turned into nighttime fun—by this I mean darkness except for multi-colored strobe lights and fist-pumping booty-shaking music. Was I really in an exercise class? I’ve done ZUMBA® once or twice before, but this really rocked my world. Think of a sweaty dance party at a club where you shake your moneymaker—yet here, you’re sweating it out in gym clothes. It’s like a hip-hop dance rehearsal with ridiculously daring moves and lots of laughs. The next day, my abs and my bum were feeling it. Success! ITKDA has many different package plans suited for your budget. Walk-in classes range from $10-$13, so drop in for a class and test it out for yourself, and chat with members as I did to figure out what program is right for you and your children. They also host several community events which you can attend to get a feel for what Mr. Teran’s studio is all about. All info here.